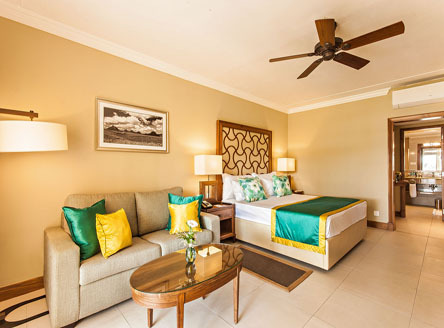 Set on the exquisite west coast of Mauritius, close to Flic en Flac and overlooking the shimmering turquoise waters of Tamarin Bay, Sands Resort & Spa is a four-star 'all-suite' hotel with an elegant new design. 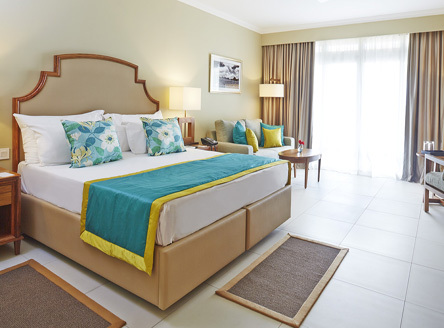 Following a complete refurbishment and remodelling in 2014, this boutique hotel is now a lovely all-suite resort with a relaxed atmosphere that pervades throughout the property. Each suite includes a dressing room and luxurious Italian marble bathroom with deep-soaking bathtub and rainfall shower. 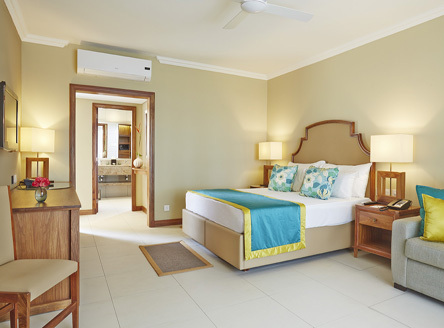 All guest rooms boast hand-crafted furniture and a separate living space. 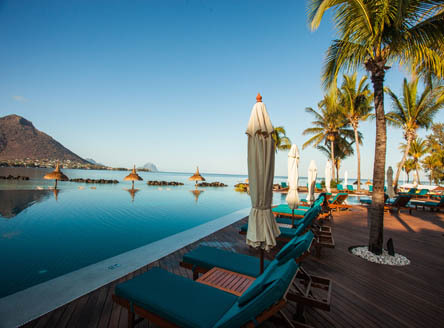 Sands Resort boasts 52 Superior Suites, 26 Deluxe Suites, 12 Beachfront Suites and 1 Exclusive Suite, with ocean views and a backdrop of the Le Morne Mountain. 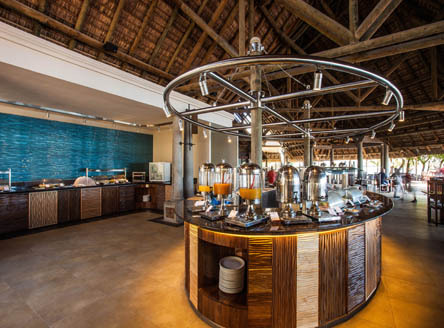 The resort’s restaurant and bars have been refreshed to provide a contemporary setting, including deep-cushioned armchairs for guests to sink into and relax. 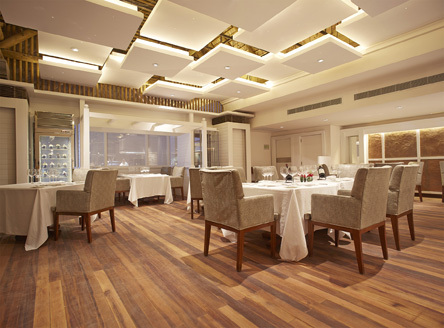 The three restaurants cater for all tastes: Tamarind Terrace offers both global and Mauritian specialties with a focus on local produce; Spices blends International cuisine and spices of the Indian Ocean; while Pinkpeppercorn is the resort's beach restaurant. 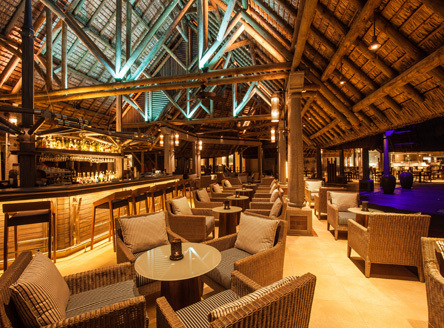 The Dolphin Bar is the ideal setting to enjoy a cocktail whilst watching the stunning sunsets or to enjoy live evening entertainment. 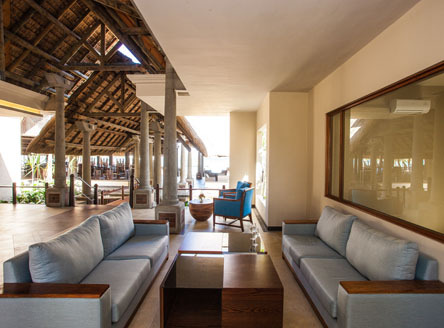 A new 'dine-around' option allows Sands guests to take dinner at the neighbouring sister property - the 5-star deluxe Maradiva Villas Resort; a resort credit is given. The well-being spa, SandsSpa, offers four treatment rooms, including two couple’s rooms, a sauna, a hammam and a Jacuzzi and an extensive range treatments. 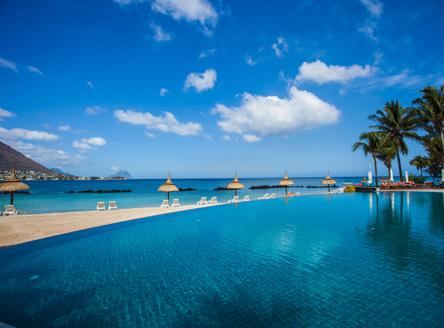 As well as the delightful white-sand beach and a dreamy lagoon, Sands Resort also has a fabulous infinity pool to amaze its guests. There's a good choice of complimentary land and water sports, as well as other trips that may be paid for locally including excursions to see the dolphins in Tamarin Bay. 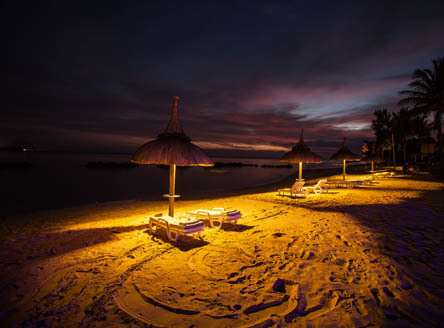 Sands Resort & Spa is one of our great value Mauritius Boutique Hotels. Other local trips not to be missed include to the nearby Casela Nature & Leisure Park. 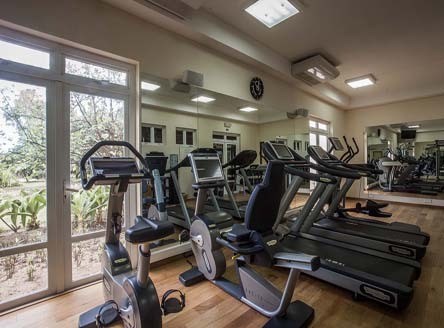 91 air-conditioned suites each with king-size or twin beds, bathroom with separate bathtub and shower, hairdryer, walk-in dressing area, ceiling fan, flat screen TV with DVD/CD system, free Wifi access, mini bar, electronic safe, tea/coffee facilities. Inter-connecting suites. From £1239 per person for 7 nights Half Board in a Superior Suite including flights from London & transfers. Please contact us for latest offer and validity dates. 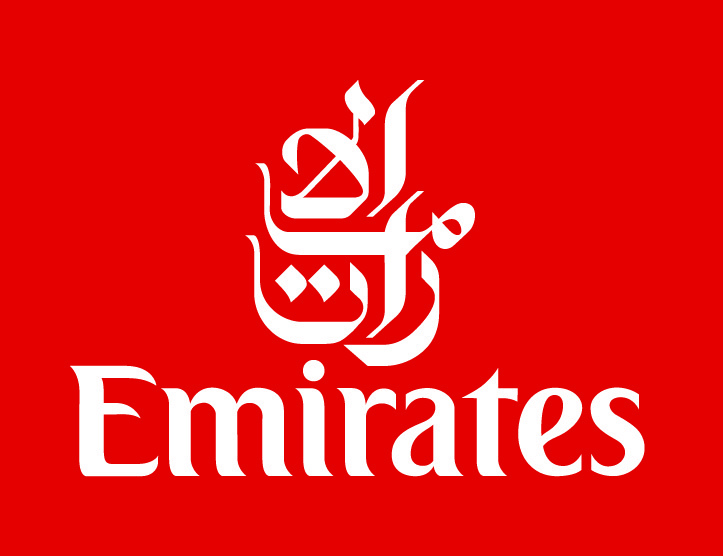 All price examples shown include return flights from London (as shown) & private transfers. Offers subject to availability & other terms & conditions. Call for details. The resort is a real gem and offers a peaceful setting that fits in well with the 'local feel' of the island. Being close to Flic en Flac is also a bonus for those who prefer to have a 'local village' close to hand. 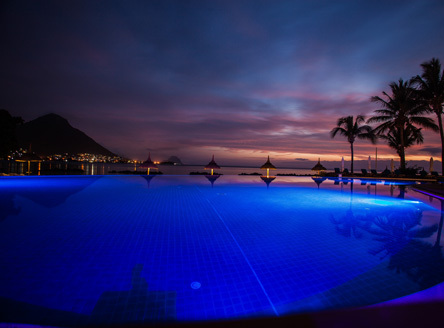 Located on the west coast of Mauritius with beautiful views over Tamarin Bay and with Le Morne Mountain, Sands Resort offers great service and exceptional value for money. 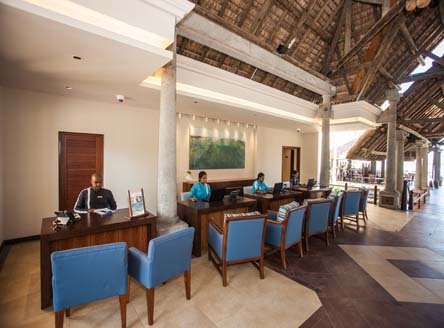 A boutique all-suite hotel, accommodation is extremely spacious. And, being a small hotel, no rooms are too far from the stunning white sand beach, the perfect place from where to enjoy a cocktail and a breathtaking sunset! Why not combine your stay at Sands Resort & Spa with a few days at Lakaz Chamarel - a luxury eco-lodge set in the mountains of the south-west? The lodge is in the midst of nature and a haven of peace with stunning views. 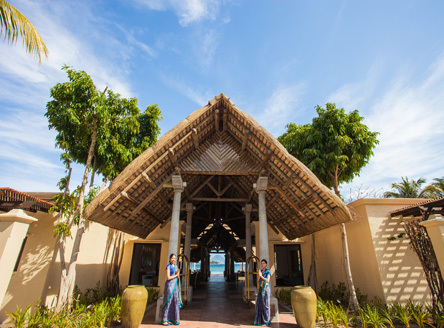 It offers fine Mauritian cuisine, an excellent spa and there's a choice of individually-styled rooms as well as suites with private pools. 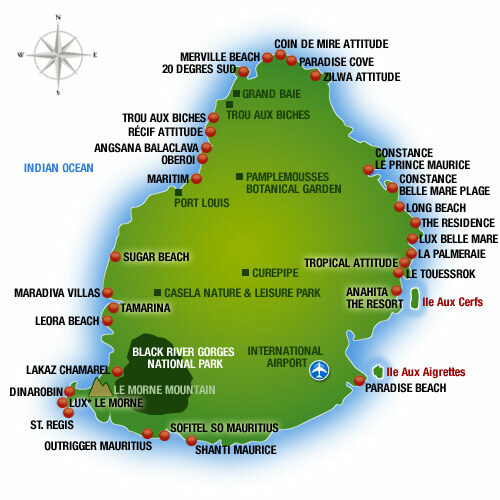 Sands Resort & Spa makes a great combination with one of our superb Mauritius Catamaran Cruises. We can tailor any 'Cruise & Stay' package, from luxury resorts to boutique hotels. 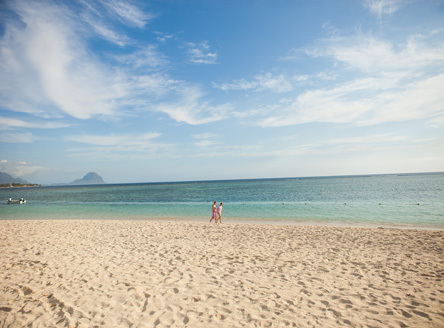 See our sister site for great holidays to Seychelles!